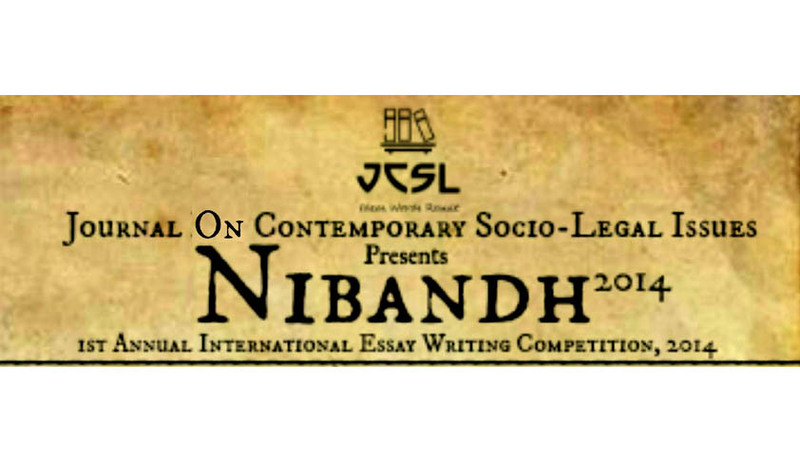 Journal on Contemporary Socio-Legal Issues (JCSL) a student-edited peer reviewed interdisciplinary journal published by the JCSL Team which aims at addressing the current issues at hand in the areas of corporate law, media law etc. and promote awareness among all, starting from legal professionals to layman announces the 1st Annual International Essay Writing Competition. Eligibility: The competition is open to students who are pursuing their B.A.LL.B./LL.M./Ph.D./M.Phil. or any other undergraduate or master courses across the World. The footnote font size should be 10 with line spacing 1. Last date for submission: April 30, 2014.